Read his plea for churches to meet together with prayer and fasting so as to unite as one people. David Lipscomb, “To Baptists and Disciples in Tennessee,” Gospel Advocate 8 (10 April 1866), 236-37. Brethern:–The Savior of the world prayed that his people and his followers might be one–that the world might believe that the Father had sent him. The oneness of the people of God, the unity of the followers of the Lord in one body, is made a condition of the world’s believing in the Son of God, that that world might be saved from the woe of hell. Division and strife to-day separate the professed followers of the Savior, and the world in infidelity and sin is going down to the dark abodes of eternal death. In the face of this lawful consequence of division among the people of God, what are doing to bring about union and peace? Are we making the efforts and the sacrifices to avoid division and bring about union that the importance of the subject demands? We divide and separate, and in careless indifference perpetuate that division in despite of the prayer of Jesus, and as a consequence our fellowmen, our neighbors, friends, brethren, husbands, wives and children go down to death, how can we be held guiltless in the sight of God? The union of Christians in one body, in one faith, in one walk, directed by the same rule, is the demand of God and the crying want of the world. Shall Christians make no effort to comply with the demand of God, and supply this want of the world? We appeal to Baptist and Disciples as having many points of agreement to make a move in this direction. They teach a common rule of admission into the Kingdom of Jesus Christ, to-wit: A penitent believer’s burial in Baptism, in order to a resurrection to a new and holy walk with God, they have a common rule of faith and practice for individual Christians, and book of discipline for the Church of God, the simple, pure, unadulterated word of God. They have one common Lord and Master, one common Heaven of rest and happiness after life’s trials and sorrows are over. They have, too, one common ancestry, one common history for eighteen centuries of persecution and martyrdom. Can they not live and labor together in love and harmony as children of a common Father? Our brethren, too, in Virginia, have set us the example of trying to effect a union. Shall we not follow their good example? Shall we not have a meeting either of men chosen from our respective bodies at large, or commend to the churches to meet together, with fasting and prayer to God, and seek to unite as one people. How greatly would our capacity for good be increased? What joy to the good of earth and the angels of Heaven, would such an effort cause? Will our brethren, Baptists and Disciples, at once speak out and say whether we shall make the effort, and if so, how, and how soon. Canons of Laodicea…probably not the most interesting of topics except for a few (very few) but which I read through for a particular thing I am doing at the moment. But, ah, such interesting particulars lie in the pontification of these clergy. Listen to a few….with some, admittedly, irreverent (at times) comments attached. Canon 15: No others shall sing in the Church, save only the canonical singers, who go up into the ambo and sing from a book. No congregational singing. And no singing except from a book (we want to make sure we sing the right stuff with sanctioned theology, I suppose). An “ambo” is an elevated desk, pulpit or area from which one reads/sings, in case you were wondering. Canon 17: The Psalms are not to be joined together in the congregations, but a lesson shall intervene after every psalm. I do like the fact that every Psalm should be explained rather than run together. Canon 19: After the sermons of the Bishops, the prayer for the catechumens is to be made first by itself; and after the catechumens have gone out, the prayer for those who are under penance; and, after these have passed under the hand [of the Bishop] and departed, there should then be offered the three prayers of the faithful, the first to be said entirely in silence, the second and third aloud, and then the [kiss of] peace is to be given. And, after the presbyters have given the [kiss of] peace to the Bishop, then the laity are to give it [to one another], and so the Holy Oblation is to be completed. And it is lawful to the priesthood alone to go to the Altar and [there] communicate. I’m glad I got that straight now. The pecking order is real clear to me. “Communicate” is to communion (the Eucharist). Canon 25: A subdeacon must not give the Bread, nor bless the Cup. Canon 28: It is not permitted to hold love feasts, as they are called, in the Lord’s Houses, or Churches, nor to eat and to spread couches in the house of God. If you have read this blog much, you know how this really bothers me. No more tables (e.g., spreading couches for festive reclining at tables) in the church. But then again we have tables we don’t sit at or even stand around. Canon 29: Christians must not judaize by resting on the Sabbath, but must work on that day, rather honouring the Lord’s Day; and, if they can, resting then as Christians. But if any shall be found to be judaizers, let them be anathema from Christ. Sunday means rest, Sabbath means work. And if you rest on Saturday, if you are a judaizer, well, you are going to hell. Canon 44: Women may not go to the altar. Well, of course. Since there are no tables either, then it seems they can’t go anywhere but stand in the audience. Canon 52: Marriages and birthday feasts are not to be celebrated in Lent. There are lots of rule for Lent; this is only one. Too bad if you were born in March…no birthday parties for you….ever. Canon 55: Neither members of the priesthood nor of the clergy, nor yet laymen, may club together for drinking entertainments. This is my favorite, however. No clubbing allowed! I think we need a “Lipscomb University” canon–“neither members of the administration nor of the faculty nor yet students may club together for drinking entertainments.” 🙂 Actually, “club” here means to share the expenses. Do you think these clergy had some control issues? Well, enough said. Just doing a little “tongue-in-cheek” history but one with some pretty serious theolgoical issues lying underneath. Twenty-five years ago this month I defended my dissertation at Westminster Theological Seminary. I remember that I was confident but somewhat intimidated at the same time. It was a weird feeling. One goal of a dissertation is to know more than your Professors on the topic. 🙂 At the same time, they know some things you don’t and you don’t know which things they are. 🙂 Thus, confident but intimated. The title of my dissertation–this will thrill only a few, very few–is: The Theology of Grace in the Thought of Jacobus Arminius and Philip van Limborch: A Study in the Development of Seventeenth Century Dutch Arminianism. My point was that classic (or Reformed or “high”) Arminianism is something very different from late (or “low”) “Arminianism.” In fact, I don’t think we should use the same terms for both. I suggest that “Arminianism” is a title that should describe an evangelical, conservative theology such as that of Arminius himself (and Wesley to some degree) while “Remonstrant” describes the broader, more Enlightenment-shaped theology of later (much watered-down, fairly Pelagianized) “Arminianism”. So, Arminianism is one thing and Remonstrantism is another. The latter developed from the former but was influenced by modernity (Enlightenment rationalism) which reshaped it. Arminianism has much more in common with Reformed theology than it does Remonstrantism. I would suggest Arminianism belongs to the Reformation era while Remonstrantism belongs to the Enlightenment era. The original contribution of my study is the exposition of Philip van Limborch (1633-1712) who was the leading theological professor of the Remonstrant Seminary in the mid-to-late seventeenth century in Amsterdam. Limborch is of some significance for students of Stone-Campbell history. He was John Locke’s favorite theologian and Limborch fully embraced Locke’s empircism. They were best friends from the time they met at an autopsy in Amsterdam. Further, Limborch’s theology reflects many of the themes of Stone-Campbell theology, including a kind of “word-only” theory, conversion as intellectual assent, similar understandings of covenant, etc. It is not surprising to me that Limborch and Alexander Campbell would have much in common given their modernity, traditional theological training, and acquaintance of Lockean empiricism. The dissertation addresses the problem of the theological relationship between the theology of Jacobus Arminius (1560-1609) and the theology of Philip van Limborch (1633-1712). Arminius is taken as a representative of original Arminianism and Limborch is viewed as a representative of developed Remonstrantism. The problem of the dissertation is the nature of the relationship between Arminianism and Remonstrantism. Some argue that the two systems are the fundamentally the same, others argue that Arminianism logically entails Remonstrantism and others argue that they ought to be radically distinguished. The thesis of the dissertation is that the presuppositions of Arminianism and Remonstrantism are radically different. The thesis is limited to the doctrine of grace. There is no discussion of predestination. Rather, the thesis is based upon four categories of grace: (1) its need; (2) its nature; (3) its ground; and (4) its appropriation. The method of the dissertation is a careful, separate analysis of the two theologians. Chapters two and three set forth Arminius’ understanding of grace. There is considerable interaction with secondary literature in an attempt to come to an informed understanding of Arminius’ theology of grace. Chapters four, fie and six attempt to understand Limborch’s theology of grace. Since secondary literature on Limborch is scarce, this is the most original work of the dissertation where the original Latin sources are brought to bear on the thesis of the dissertation. After careful analysis of the respective theologians in the previous chapters, chapter seven compares the two according to their differences and similarities. They differ on the original state of man, the nature of the fall’s effects, the natural ability of fallen man, the nature of the Spirit’s work, the meaning of the death of Christ, the nature of saving righteousness, and the condition of applied righteousness. Arminius stands with the theology of the Reformation while Limborch’s theology shows the influence of the Enlightenment. While they have some similarities, including conditionality, synergism, and universalism, these similarities are governed by radically different presuppositions as the differences demonstrate. Consequently, it is not the case that Arminianism logically entails Remonstrantism. The dissertation advocates a recognition of the fundamental distinction between Arminianism and Remonstrantism. It argues that the categories of historical theology ought to recognize this distinction. As a result, Arminius ought to be regarded as a theologian of the Reformation, but Limborch, and his Remonstrant brethren, ought to be seen as the advocates of a theology which undermines the distinctives of the Reformation. Returning to some of my historical interests (which is probably not shared by many :-)), I have always been fascinated with Alexander Campbell’s take on the “spiritual system” as he called it, particularly demonology. Campbell presented a major addresson the topic of demonology to the Popular Lecture Club in Nashville, Tennessee on March 10, 1841 (published in the Millennial Harbinger [October 1841] 457-480). He also conducted an extensive correspondance with M. Winans on the topic in 1841-1842 as Winans responded to the lecture. The lecture and subsequent correspondance are available online. The address was printed in book form as An Address on Demonology: Delivered Before the Popular Lecture Club, Nashville, Tenn in Bloomington, Indiana, by C. G. Berry in 1851 (32 pages). The essay later appeared in Popular Lectures and Addresses by Alexander Campbell published by the Christian Publishing Company in St. Louis (1861). The essays were republished by Standard Publishing in Cincinnati (1863) and by James Challen of Philadelphia, PA (1863, 1864, 1866). Campbell visited Nashville six times, as far as I can discover. His first visit was in Feb-March 1827, his second in December 1830, and the third in March 1835. In March 1841 he was engaged in his fourth visit to Nashville when he gave his address on Demonology, and would later return again in November 1854 for his fifth visit, and then in April 1858 for his final visit to Nashville. Campbell highly praised the church in Nashville. Under the leadership of P.S. Fall, the First Baptist Church had removed themselves from the Concord Association in 1825 but renewed that relationship in 1827 on the condition that they could pursue a reformation on the grounds of the New Testament alone (see their letter to the Association published in Christian Baptist). This letter to the Association was sent after Campbell’s first visit in 1827. The church had recently begun to meet weekly to break bread. During his third visit to Nashville, he stayed for three weeks with the Nashville church which numbered “about six hundred members” (which probably includes the county and/or region itself or perhaps a mistaken estimation; however, Eastin Morris’ Tennessee Gazetter 1834 reports that the church had “456” members “of which 280 were colored”). Tolbert Fanning was its evangelist (see MH, June 1835). He stayed with Henry Ewing who was a frequent contributor to MH. His trip through Nashville in 1841, however, receives no notice in Richardson’s memoirs. And though Campbell reflects on the general state of the churches in Louisville, Nashville and Cincinnati in his “Excursions—No. I” and “Excursions—No. II” (MH, May & June, 1841), he offers few details about his time in Nashville. It was during this 1841 visit that he gave his public address on demonology on March 10 before the “Literary Club” at the Masonic Hall in Nashville. The speech was announced in the Nashville Whig on Friday, March 5. On the day of the scheduled address the following announcement appeared (Nashville Whig, March 10, 1841, p. 2): “Mr. Alexander Campbell, lectures tonight, by invitation of the Literary Club: his subject—Demonology and Witchcraft. The Club, we understand, have provided extra seats for the audience, so that the entire Hall, including the rostrum, can be occupied.” Apparently, they were expecting a large crowd. “The somewhat novel subject of Demonology was discussed on Wednesday night, with much good taste and profound learning by Mr. Alexander Campbell, of Virginia. His argument was chiefly directed to the original and true office of the term Demon, as recognized in the Divine Scriptures, in contradistinction to its use by the early Greek poets, and its meaning as employed in modern times. The whole subject was treated as a theory of spirits, the learned lecturer entertaining the doctrine, as we understood him, that the disembodied spirits of the just, as well as the damned, exercise a decided though mysterious influence over the actions and destinies of the living. All are demons, in the original sense of the term, there being demons of good as well as demons of evil—the latter the subjects and especial instruments of the Prince of Darkness, Baelzeebub. The supersititons of ghosts, hobgoblins and appirations, were duly divested of their corporeal and incorporeal horrors, “raw herd, bloody bones” and all, and the doctrine of witchcraft treated as an idle fancy of the brain. The victims of these follies, in all ages, were referred to in a happy vein of sarcasm, and their manifold mental sufferings depicted with a fancy that proved that the distinguished lecturer has humor for the ridiculous as well as taste for the sublime. The problem of materialism is lingering in Campbell’s mind. Since his last trip to Nashville, John Thomas emerged as a schismatic leader who affirmed a form of materialism regarding the state of the dead. As Thomas’ materialism became clear, Campbell was pressured by those inside (e.g., Winans) and outside the Stone-Campbell Movement (e.g., the Virginia Baptist Andrew Broaddus) to disavow his views. The proof of a “spiritual system” and of the conscious spirits of dead persons is partly a response to Thomas and insulates the movement from Thomas’ defection. Thomas was ultimately the founder of the Christadelphians. Campbell wrote a series of articles entitled “Materialism” in the September-December issues of the 1836 MH. 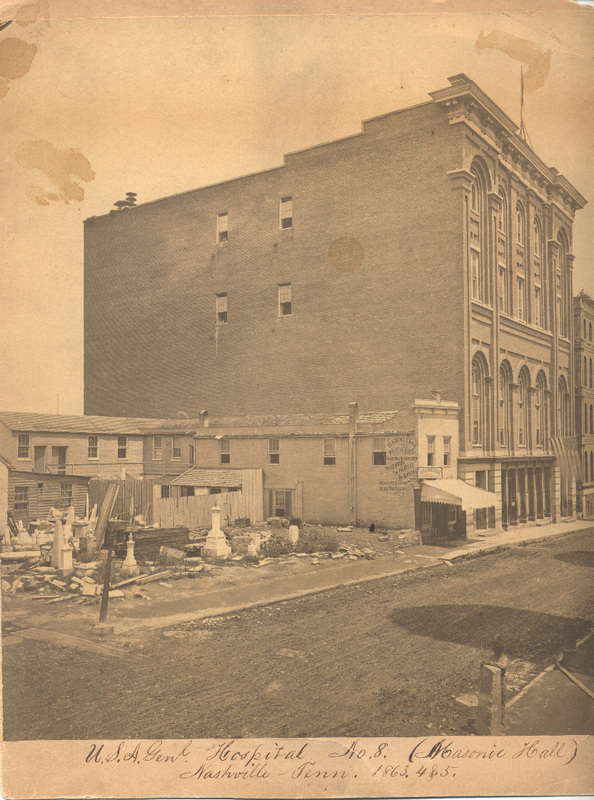 In 1857 the reconstituted Spring Street church began anew in the old Spring Street building with 15 members (calling back P.S. Fall who had left the city for KY in 1831 when the membership was 250 members). Also the South College Street church began in 1857 with 3 in attendance as David Lipscomb preached the first sermon for the new community. By the end of the Civil War these two congregations represented 500 members (Hooper, Crying in the Wilderness, 203). 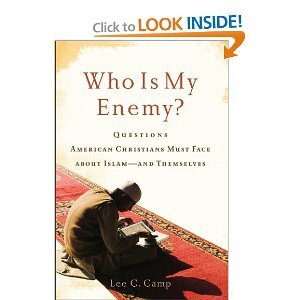 Campbell’s demonology essay, then, represents a middle ground between two historic controversies within the early Stone-Campbell Movement. Campbell battled the materialism of John Thomas on one end and battled the spiritualism of Jesse Ferguson on the other. In both cases the beginnings of the controversies were cloaked in titanic egos and ended with disastrous results. Nevertheless, the sage of Bethany won the day and his perspective prevailed within the movement. • “The Spiritual Universe–No. I.” MH, Fourth Series, 1 (February 1851): 64-66. • “The Spiritual Universe–No. II. Angels and Demons–No. I.” MH, Fourth Series, 1 (February 1851): 66-70. • “The Spiritual Universe–No. III. Angels and Demons–No. II.” MH, Fourth Series, 1 (March 1851): 121-126. • “The Spiritual Universe–No. IV. Angels and Demons–No. III.” MH, Fourth Series, 1 (April 1851): 181-187. • “The Spiritual Universe–No. V. Angels and Demons–No. IV.” MH, Fourth Series, 1 (May 1851): 241-244. In particular, he is quite willing to speculate that God takes the lives of young ministers because he needs them to fulfill some role as good angels (“Mysteries of Providence,” MH , 707). More significantly, Campbell refuses to permit the Enlightenment (infidelity in his language) to dismiss the influence that the spiritual world has on the actions and lives of people. “That we are susceptible of impressions and suggestions from invisible agents sometimes affecting our passions and actions,” he writes, “it were foolish and infidel to deny.” The spiritual world is not boxed off from the material world. Rather, God uses both good and evil spirits to influence and act within the material world. The essay is part of Campbell’s rejection of Deism and the affirmation of God’s ever present action in the world through the spiritual system. The “spiritual system” or “universe” is an essential affirmation of the Christian system for Campbell. It opposes Deism and infidelity. But it is not a spiritualism that denies the efficacy and sufficiency of the gospel itself. The facts of the gospel dissipate the ignorance of a world caught up in spiritualism (e.g., divination through demons) and they liberate us from the tyranny of the evil powers in the universe. Science did not accomplish this, though it aided our knowledge of God’s other book—the book of nature. Only the gospel can liberate us from that ignorance and tyranny so that we might live in the freedom of the Holy Guest (Spirit) who indwells us. In this context, Campbell’s essay on Demonology is a kind of “back door” statement of the gospel against Enlightenment skepticism and Deism (infidelity). The essay, then, forms part of his case for the “Evidences of Christianity” (a series he began in the 1835 and a course he just began teaching at Bethany College). You are currently browsing the archives for the Church History category.